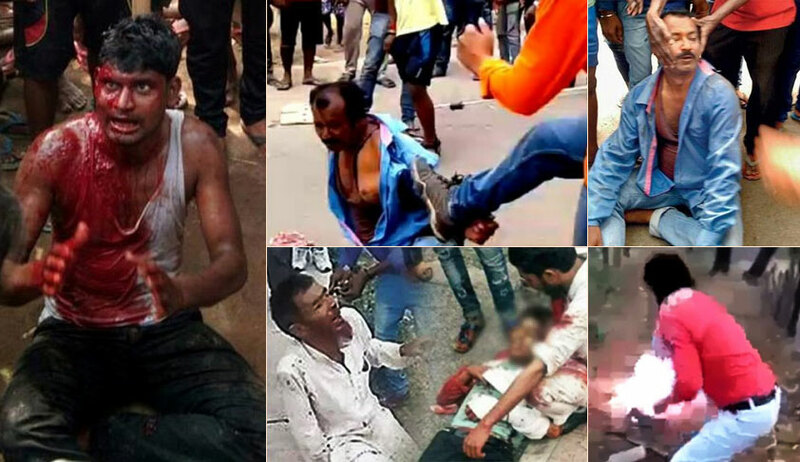 The Supreme Court on Tuesday lamented the growing instances of lynching and mob violence in the country, and asserted that it is the State’s duty to ensure efficient functioning of the law and order situation. In doing so, the Bench comprising Chief Justice of India Dipak Misra, Justice A.M. Khanwilkar and Justice D.Y. Chandrachud also took into account the contribution of inciting or false messages and videos to the instigation of crowds. It, in fact, directed registration of FIRs under Section 153A of the IPC (promoting enmity between different groups on grounds of religion, race, place of birth, residence, language, etc.) and other relevant provisions of law against people “who disseminate irresponsible and explosive messages and videos having content which is likely to incite mob violence and lynching of any kind”. The Court’s observations assume significance in the light of growing instances of mob lynchings fuelled by fake social media messages. For instance, dozens have been killed in the country in the last few months in violence fuelled by WhatsApp messages claiming child-traffickers to be on the loose. While authorities are struggling to curb the growing technology-driven menace, the Supreme Court has now stepped in with a few directives, responding to several petitions, including those filed by Congress leader Tehseen Poonawalla and Mahatma Gandhi’s great-grandson, Tushar Gandhi.